Now that it finally feels like fall, I am ready to do some ‘fall’ cleaning. I know it’s tradition to clean out your house in the spring, but fall is definitely a refreshing time of the year. The decluttering bug bit me this weekend, so we went through a couple rooms and closets to get rid of stuff for a yard sale. It’s so hard to get rid of clothing, so I really had to narrow down what I want in my wardrobe for the next couple of seasons. This mood board shows a little bit of my inspiration. I am so glad that plaid, sherpa, and booties are back in style! I don’t have a sherpa vest yet, but I know the perfect one will find its way to me. One thing that always perplexes me while we’re decluttering is how to store the things I want to keep. Our space is limited at the moment, so I have to be creative with storing extra clothes, toys, books, and movies. It’s a real process when you’re getting rid of things that have been with you for so long and deciding where to store them if you keep them. Luckily, I had a very handy decision flowchart from MakeSpace to help me make my decisions. MakeSpace is an innovative storage solution, if you are the same boat as me. We do have a lot of items we’ll be bringing to a yard sale; however, we have just as many things that we can to keep! MakeSpace is a brand new service that will come to your home, collect your items, and then store it for you! They even have an app that you can use to let them know when you need things out of storage. 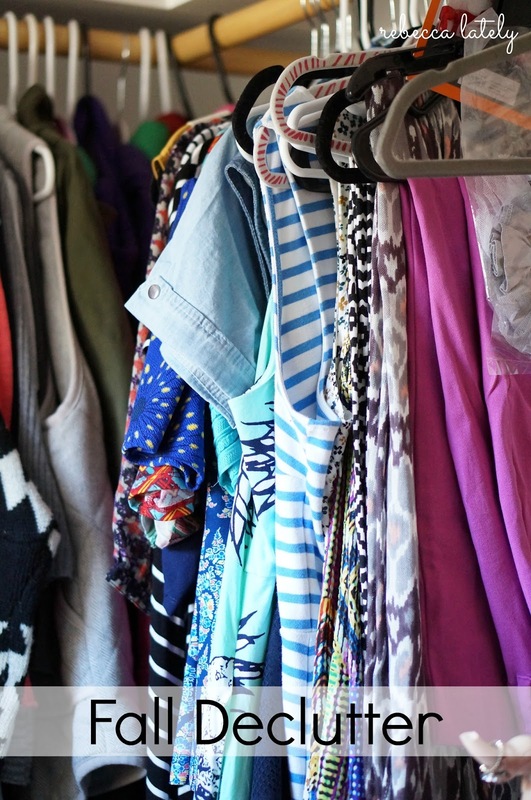 It’s almost like having a second closet or a personal assistant! You can find out about this amazing service and their locations here.